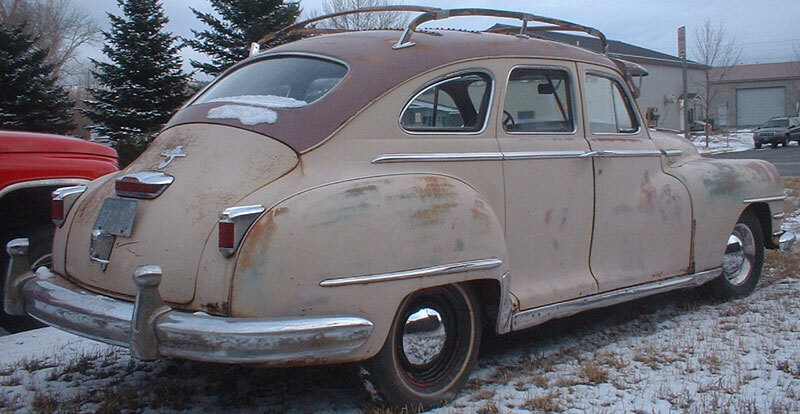 This brown 1948 Chrysler Windsor Traveler 4 door sedan is a fairly-scarce special model classic car ready to be restored or customized. 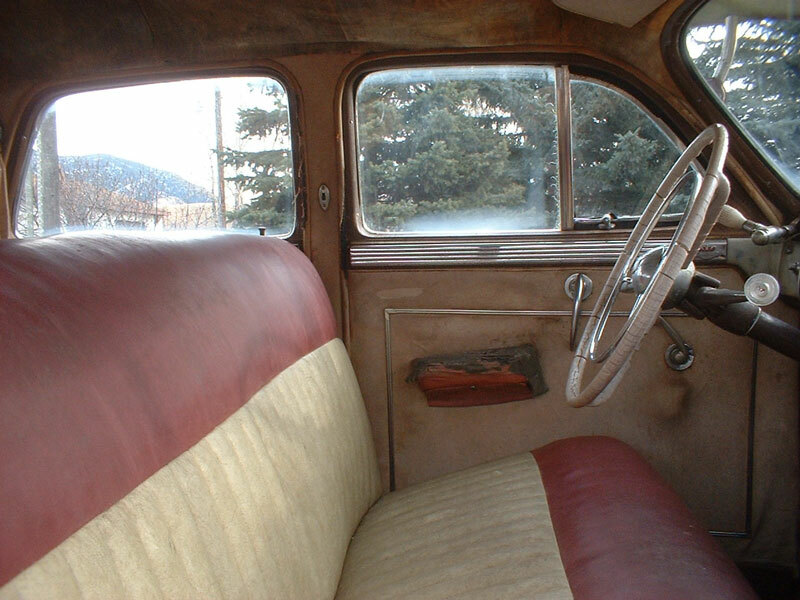 Only 4,182 Windsor Travelers were made in 1948. The body is fairly rusty with rust showing above the headlights, left front fender, door bottoms, cowl and quarter panel bottoms and bottom of the rear trunk panels. Some of the trim near the rusted areas is also rusted. There are some small dents here and there in the body and trim. The rocker trim panels are dented. The roof rack posts and wood frame are there. The wood roof slates are missing. The trunk is rusted. The car has yellow fog lights and driver spot light. The special Traveler two tone red and beige interior is fairly complete. The floors appear to be solid but the carpets have not been pulled up. The dash, gauges and radio are all there. The Spitfire Six 251 CID L-head inline six cylinder motor is all there and the motor is stuck. Nothing is taken off the motor and it might have been running when it was stored away. The three speed manual column shift transmission is there. 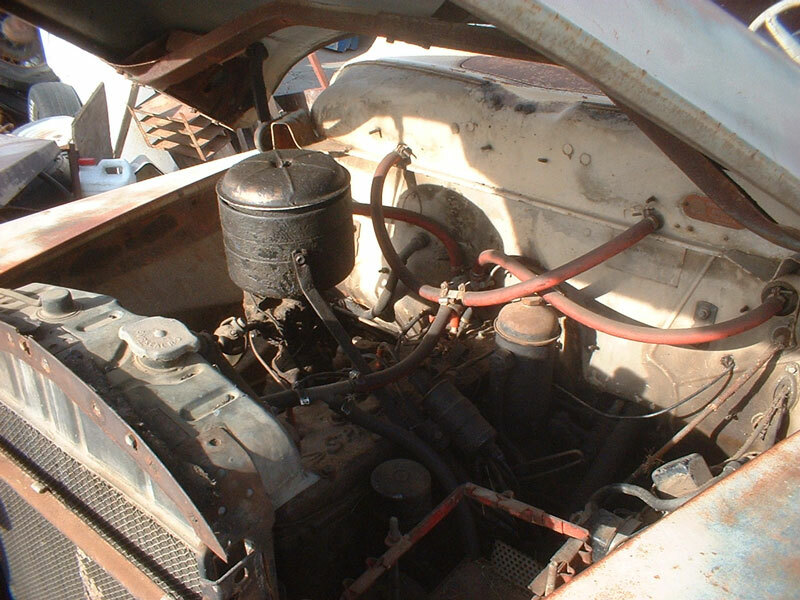 Here is your chance to restore a 48 Chrysler Traveler "surfer" sedan. 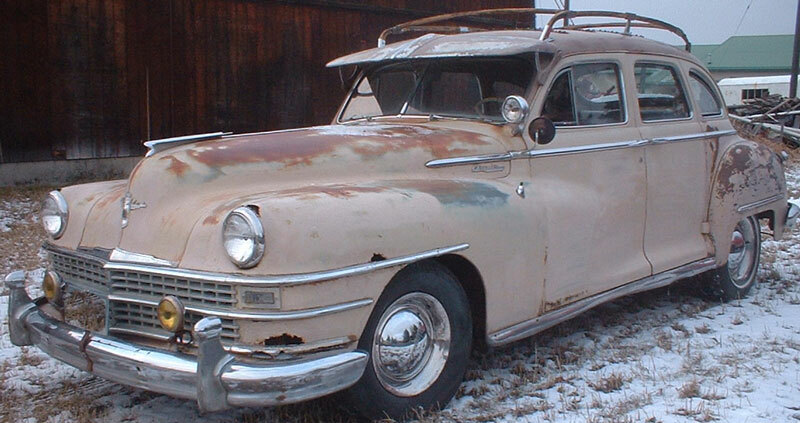 Please call (406) 318-0270 for details about this restorable classic 1948 Chrysler project car. For sale $3,000.